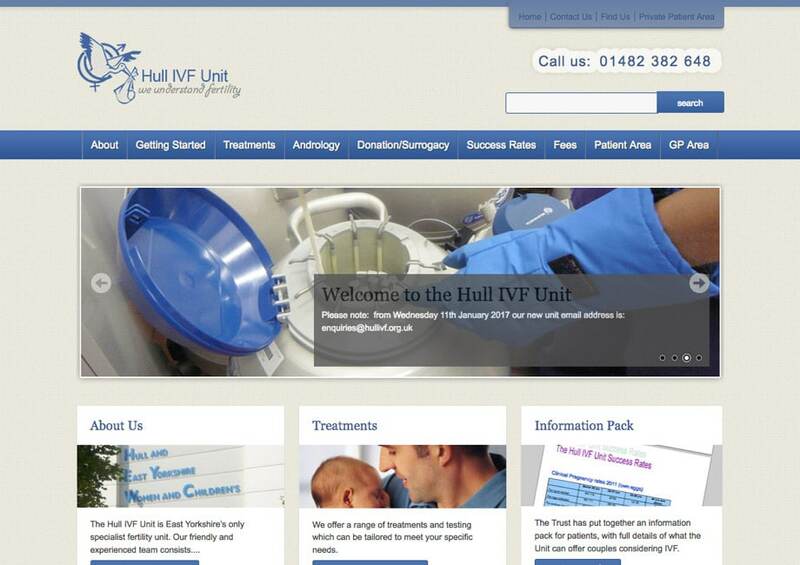 The Hull IVF Unit is a leading UK fertility clinic providing specialist infertility treatment. With a website craving a major restructure, and a brand in need of refreshing, we embraced the challenge of combining medical expertise and professionalism with a friendly, caring approach. The unit now has a clean, easy to navigate website with otherwise complex information communicated in a digestible fashion. There’s also a bespoke booking system that’s brought vast improvements for patients and admin staff alike. Rebranding. For the Perfect Approach. 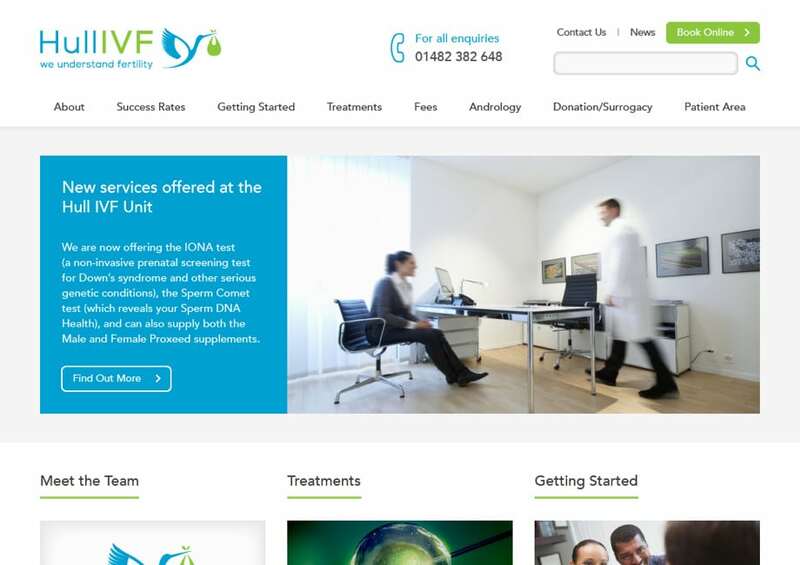 In creating a new logo, we explored a variety of concepts connected with fertility, eventually settling upon a fresh, reimagined version of the stork from the original branding, something that went down well with Hull IVF partner Christine Leary who we worked with on the project. A soft, reassuring brand colour scheme demonstrates the clinical expertise and professionalism whilst portraying the unit’s friendly and approachable side. Website Redesign. Clean, informative, simple. With so much information and important data to communicate, Christine asked us to find a way to make everything digestible for visitors to the unit’s website. Starting with a major reorganisation of the sitemap, we logically categorised all the key information pages, making them effortless for users to navigate. The result is a cleanly presented site that Christine agrees is informative without appearing overwhelming. For staff, a WordPress backend has eased the workload with easily editable pages, vitally important when dealing with statistics that are subject to change on a regular basis. A Custom Developed Booking System. Effortless for all. 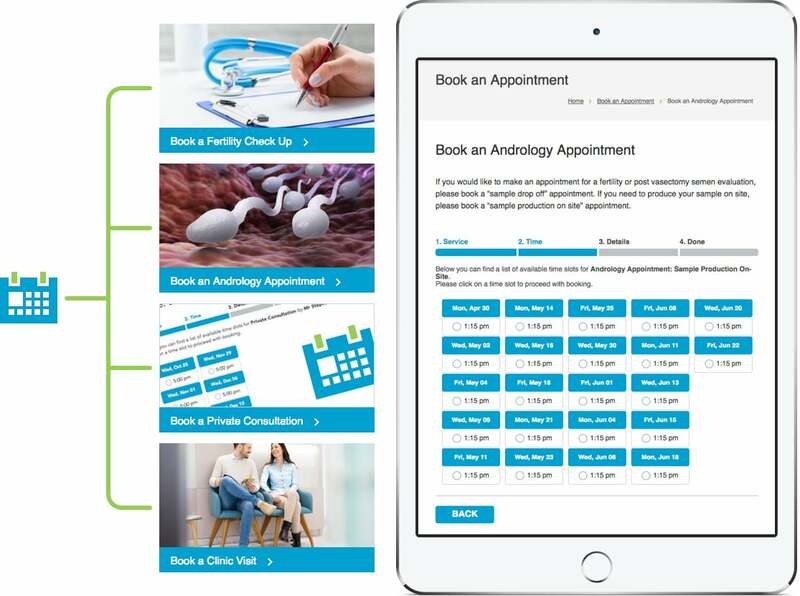 A custom-created booking system allows users to choose from a menu of options, including requesting a check-up, private consultation or clinic visit. We also made it possible to select a particular consultant. Fees are displayed at the time of booking, making everything completely transparent, something Christine was eager to ensure. There’s a secure payment portal courtesy of PayPal integration, and booking confirmations are automatically sent to patients with a copy for the clinical receptionist. Appointment reminders are delivered by email and SMS and it’s easy to cancel bookings too. Thanks to additional information harnessed during the booking process, Christine tells us staff admin time has been significantly reduced.